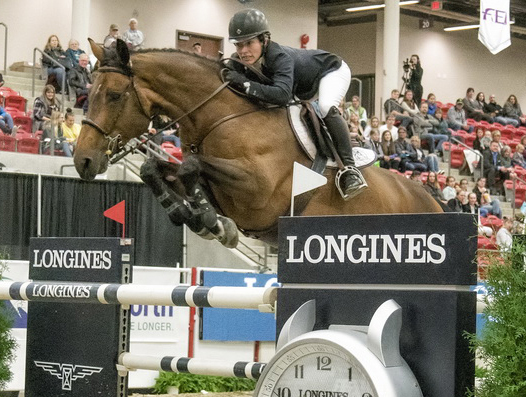 Canada’s Isabelle Lapierre became the first rider to win multiple events in the Longines FEI World Cup™ Jumping North American League this year when she rode Cescha M to her second victory of the season at the Royal West in Calgary (CAN). Calgary was one of two North American League events held on October 28, 2017, as Beat Mändli and Dsarie won on the east coast in Washington, D.C. (USA). The league resumes on the east coast in Lexington (USA) on 4 November 2017, while the next west coast event will take place 18 November 2017 in Las Vegas (USA).